HyDrive transducers represent a revolutionary improvement in bass speaker technology and a major leap forward, fusing paper and aluminum in a roadworthy speaker design that is more robust and efficient than anything available. 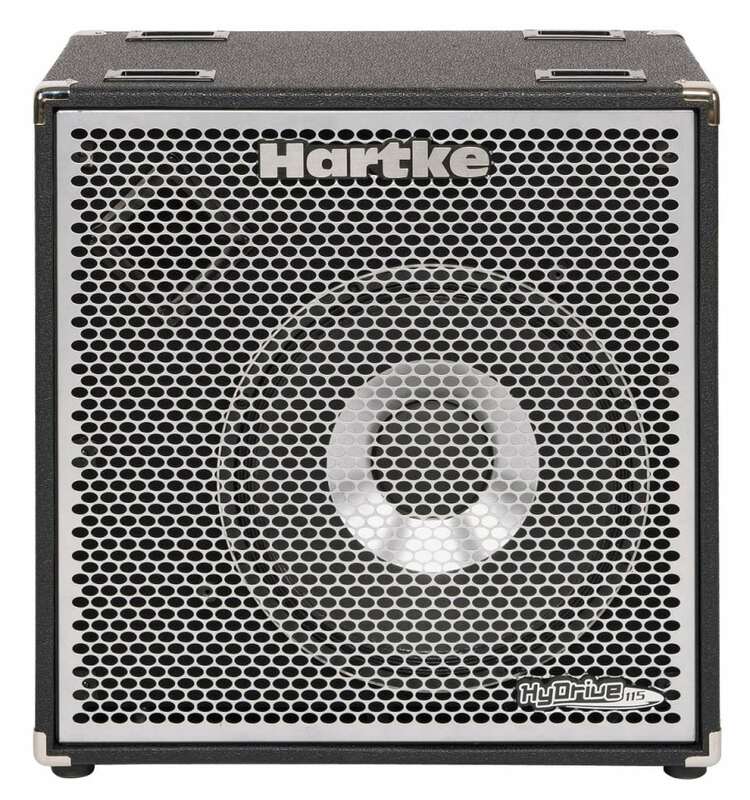 With Hartke's HyDrive series, you get the best of both worlds: the warm tone of traditional paper cones and the clear, punchy attack of aluminum. HyDrive's patented Hybrid Cone Technology produces a speaker that uses an outside paper cone to push a warm, deep low frequency and an inner aluminum cone that produces mids and highs that cut, yet still remain sweet. One of the most important advances with the HyDrive speaker is its power-to-weight ratio. A HyDrive speaker weighs 40% less than traditional speakers and handles 500 watts for the highest power-to-weight ratio of any bass speaker available. But the innovation runs even deeper. Because of its cast aluminum frame and neodymium magnets, HyDrive speakers operate cooler and deliver more reliable power handling at peak performance. A revolutionary speaker like HyDrive warrants a cabinet design that properly transfers it sound, which is why we took almost as much time developing an appropriate cabinet as we did engineering the speakers themselves. The ported cabinet featured on the HX115 was specifically engineered to extend low frequencies and provide better bass projection, so you can be sure that the power and tone of your HyDrive speaker are dispersed with great precision and articulation. Everything about the HX115 says roadworthy durability: power to spare, steel grills, inset side handles, and each cabinet comes with four removable steel casters for easier transport. The HX115 is a ported cabinet made from the highest quality plywood with extensive bracing and dado joinery, making it rigid yet lightweight.Allowing 500 watts of robust, bone-crushing power, it also boasts the lightest 15-inch bass speaker ever made. Put an HX115 cabinet on the bottom with an HX410 on top for the classic two-cabinet rig that thunders so much bass it will literally make your hair stand on end. With the HX115, you get reliable, powerful, portable performance night after night.